The Society normally meets on the first Tuesday of every month in Smithton-Culloden Free Church from 7:15pm (for a 7:30pm start) until 10:00pm. The January Meeting is on the Second Tuesday of the month. Our "YOUNGSTARS" meet prior to the main Meeting. Our Programme of Meetings is available here. You can also contact us if you require any other information. Admission to the Meetings is free to Members - there is a charge of £2.50 for Visitors. However, if you would like to come along and check out if the Society is "for you" - there is no charge. 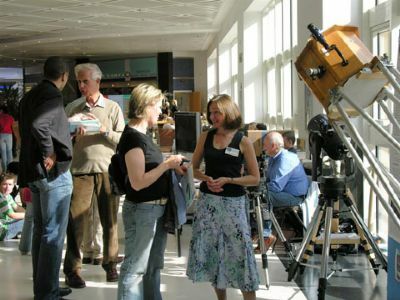 In September each year, the Society holds its annual Doors Open Day at our JSL Observatory. 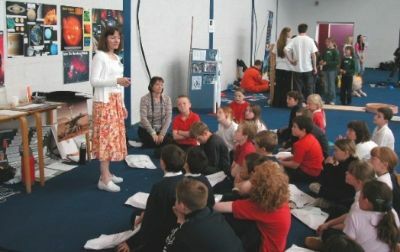 Members are on hand to answer any questions on all aspects of Amateur Astronomy.